In the anime world, cuisine is represented by drawings and graphics that are rich and colorful. Just by looking at the eyes, the audience felt the deliciousness, the attractive attraction of diverse and abundant dishes from Asia to Europe, from salty to sweet. The top 5 anime below will make viewers unable to hold back to the mesmerizing charm of the food. 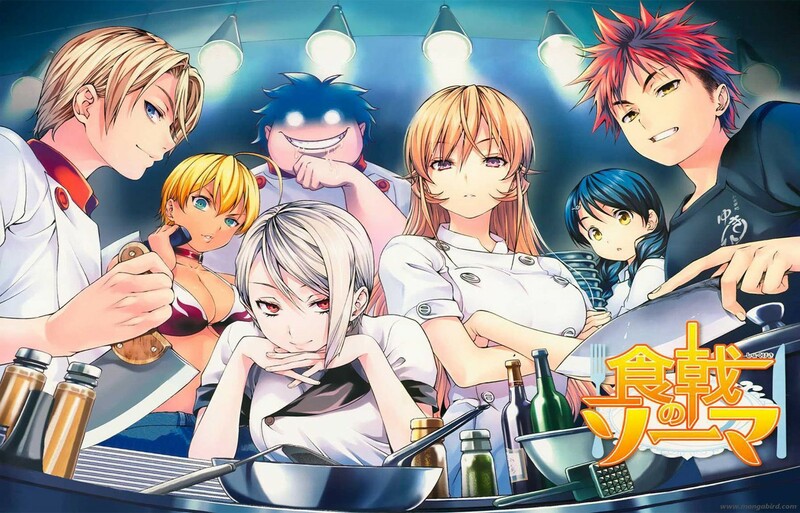 Shokugeki no Soma is an anime series exclusively for food lovers and chefs. The film is about Soma Yukihira, a teenager who dreams of becoming a great chef and possesses cooking techniques that surpass his own father’s. To fulfill the passion, Soma went to Tootsuki Academy, Japan’s most leading and harsh cooking school. Here Soma has experienced fierce battles in the kitchen to gradually improve her cooking skills. See the Shokugeki no Soma, the audience will feel like they are lost in a beautiful culinary paradise; “enjoy” delicious dishes from all five continents and admire the professional cooking process of young, fun chefs. An anime that will give the audience a lot of fun through the lovely stories about the cuisine of the girl Ryou Machiko. 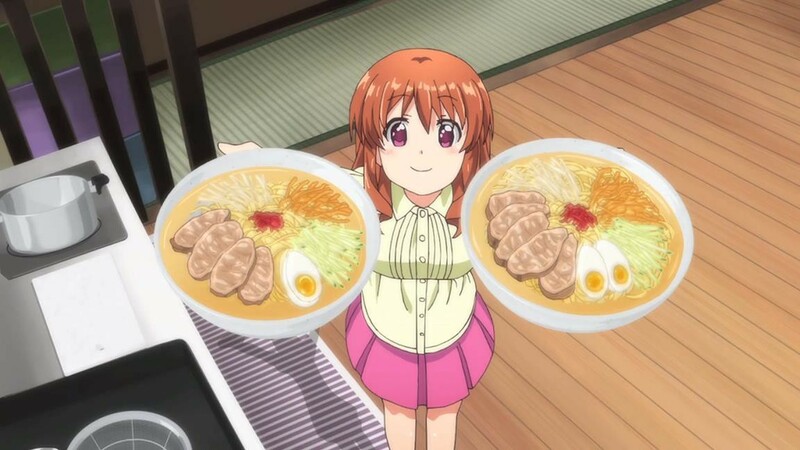 Ryou is a girl who lives alone and has a special cooking technique. One day her cousin Kirin Morino came to stay with her house and helped Ryou know what it was like to be happy when cooking and enjoying them with her loved ones. The film impresses with cute drawings, describing in detail the process of making a dish with great appetite when enjoying. Each episode is a happiness, a great memory of cuisine in the simple, happy life of Ryou girl. 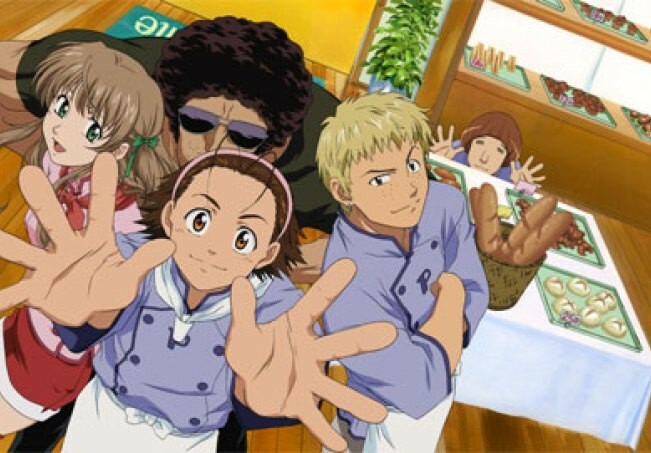 Yakitate!! Japan or King Japanese Bread is a culinary anime specializing in bread, the most popular and popular bread on earth. The story is about Azuma Kazuma, who has a sun hand- hands with heat bodies suitable for stuffing and fermenting bread. Azuma came from the countryside to the city, asked to work at the Pantasia bakery to learn and fulfill the dream of creating a bread that represents Japan. The drawing, the way to build characters and details in the film is old but the transmission message of Yakitate! Japan has a strong national spirit and strong vitality of youth. With a quote in every episode “English bread, German bread, French bread, why not have Japanese bread?”. 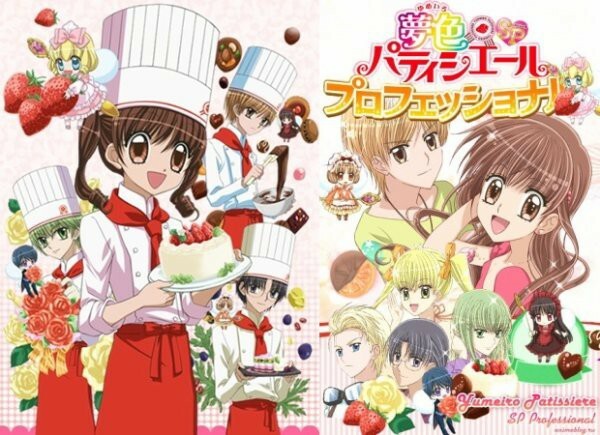 This is an incredibly cute Shoujo anime (anime for girls) on the theme of making cakes, released in 2009. Entering the world of Yumeiro Patissiere, you will experience a sweet paradise of cakes full color, size blends with natural, sparkling, fragrant flavor of happiness. The heroine of the film is Ichigo Amano, an innocent young girl, who is optimistic about her love for pastries. At a buffet, she met lecturer Henrie Lucas and decided to join the St. Marie Academy, a school specializing in the training of famous bakers. Here, she was placed in the best baking group of three Pastry Prince, Makoto Kashino, Satsuki Hanabusa and Sennosuke Andou. 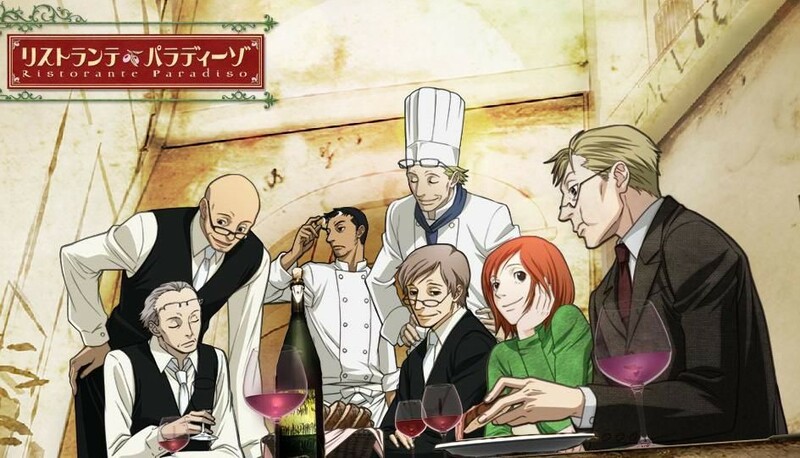 This is a series of culinary releases in 2009, adapted from the manga of the same name by Natsume Ono. Background of the film mainly takes place in an Italian restaurant with classic scenery, romantic with the character is the girl Nicoletta, an apprentice chef at the restaurant surrounded by charming and polite gentlemen. When tracking the journey to become Nicoletta’s world-class chef, the audience will admire how to create famous Western dishes. Besides, you can enjoy the delicious and peaceful taste of the noble place where the luxurious restaurant is hiding the everyday life stories about love and life.